Angul: The carcass of an adult leopard was recovered from Kanaloi reserve forest under Chhendipada forest range in Angul district on Saturday. According to sources, some locals spotted the carcass and informed the forest department. The carcass has been sent to a veterinary hospital for postmortem. The actual cause of the death is yet to be ascertained though the authorities have launched an investigation. Earlier this month, the carcass of a leopard was found in the core area of an ordnance Factory at Badamal in Titlagarh sub-division of Balangir district. The incident came to light on February 5 when some employees of the Ordnance factory spotted the carcass inside Kalakuta forest near Gate no-1 of the factory. 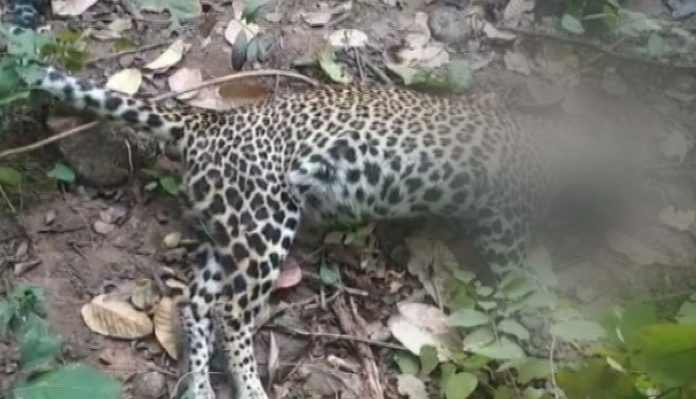 On January 16, forest officials had recovered carcass of a leopard from a water body near Mankadchua village under Pallahara block near Rengali reservoir in Angul district. Locals first spotted the carcass floating in the water body and informed the Forest Department officials. The leopard was bleeding from its mouth.